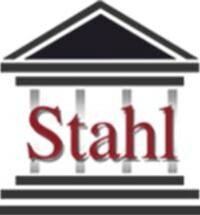 For nearly two decades, Stahl Criminal Defense Lawyers has aggressively advocated for people who have been charged with state and federal crimes near Westfield, New Jersey. Whether you are under investigation for tax fraud or drug trafficking, we provide attentive, results-oriented representation. Our law office has built a reputation for employing creative defense strategies, and we are dedicated to thoroughly exploring every approach that is available to you. Our legal team has collectively spent over 60 years practicing criminal law while serving as prosecutors and defenders. We use this background to assess the strengths of your case, and then give you an honest opinion about your options for mitigating the consequences that you face. Our attorneys dedicate extensive time to preparing for each aspect of your case, from grand jury investigations to any necessary appeals. This approach enables us to effectively handle even the most complicated cases. For your convenience, we take credit card payments.